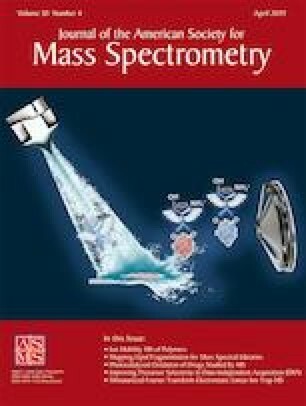 Ion mobility spectrometry (IMS) has become popular to characterize biomolecule folding. Numerous studies have shown that proteins that are folded in solution remain folded in the gas phase, whereas proteins that are unfolded in solution adopt more extended conformations in the gas phase. Here, we discuss how general this tenet is. We studied single-stranded DNAs (human telomeric cytosine-rich sequences with CCCTAA repeats), which fold into an intercalated motif (i-motif) structure in a pH-dependent manner, thanks to the formation of C–H+–C base pairs. 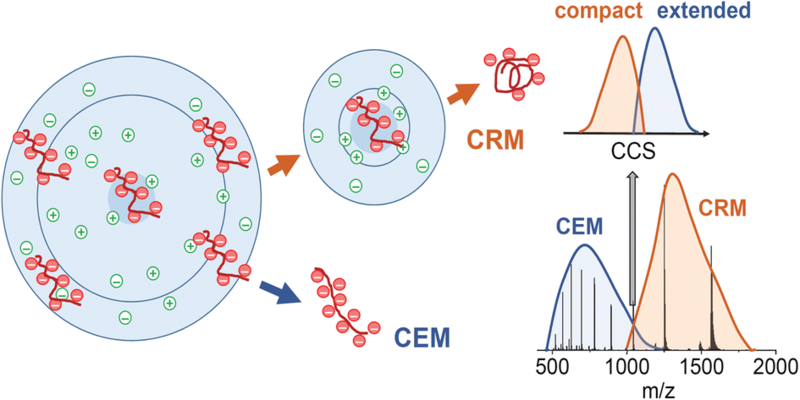 As i-motif formation is favored at low ionic strength, we could investigate the ESI-IMS-MS behavior of i-motif structures at pH ~ 5.5 over a wide range of ammonium acetate concentrations (15 to 100 mM). The control experiments consisted of either the same sequence at pH ~ 7.5, wherein the sequence is unfolded, or sequence variants that cannot form i-motifs (CTCTAA repeats). The surprising results came from the control experiments. We found that the ionic strength of the solution had a greater effect on the compactness of the gas-phase structures than the solution folding state. This means that electrosprayed ions keep a memory of the charging process, which is influenced by the electrolyte concentration. We discuss these results in light of the analyte partitioning between the droplet interior and the droplet surface, which in turn influences the probability of being ionized via a charged residue-type pathway or a chain extrusion-type pathway. The online version of this article ( https://doi.org/10.1007/s13361-019-02152-3) contains supplementary material, which is available to authorized users. This work was supported by the European Research Council under the European Union’s Seventh Framework Program (ERC grant 616551 to VG) and by the Italian Association for Cancer Research (AIRC) (IG-18695 to AR).